See why marinas use Dockwa to FILL SLIPS, DELIGHT BOATERS, & save time in their day. 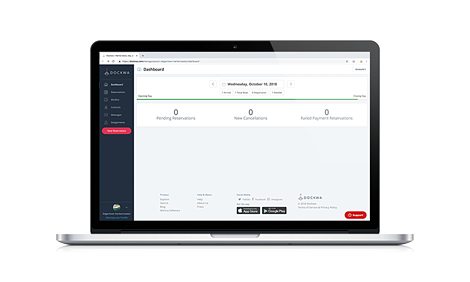 Schedule a live demo of Dockwa today. Dockwa's free marina reservation and management tools deliver a convenient, transparent travel experience to your boaters, while equipping you with the knowledge and flexibility you need to do your job best.